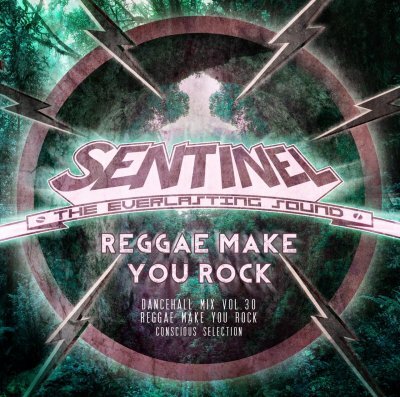 Sentinel Sound presents: Dancehall Mix Vol 30 – Conscious Selection - Reggae make you rock It's an annual tradition: When the temperature is rising, the sun is shining, and the festival season is in full swing, SENTINEL releases the brandnew edition of their Dancehall mixtape series. And this year, they are celebrating a jubilee. "Reggae makes you rock" represents the 30th issue of this successful project. Like the previous editions, "Reggae makes you rock" concentrates all the big tunes of the last twelve months. Of course, a lot of artists of the so-called "Reggae-Revival" like Chronixx, Protoje, Jesse Royal, Kabaka Pyramid or Exile di Brave are featured on the mix. They are accompanied byall-time favourite artists like Tarrus Riley, Romain Virgo, Maxi Priest or Jah Cure. And even Dancehall artists like Mavado or Alkaline have found their way to the selection. In order to do justice to the internationality of Reggae music, selector Daniel made sure to also represent artists like UK's Hollie Cook, Sara Lugo from Germany or the Italian sensation Raphael. 64 tunes of pure niceness, spiced with some quality dubplates, and mixed in fine style by one of Europe's leading selectors - if you want to know, what was hot throughout the last couple of months, or if you want to know what will be hot in the next few months, you definitely got to listen to this mixtape. And to make it even better: You can download or stream "Reggae makes you rock" for free. Enjoy!